Conquer Magazine’s 2016 Heroes of Hope Book featuring Maryann Wahmann of NCAN & Cindy Lovelace of The Healing NET Foundation! 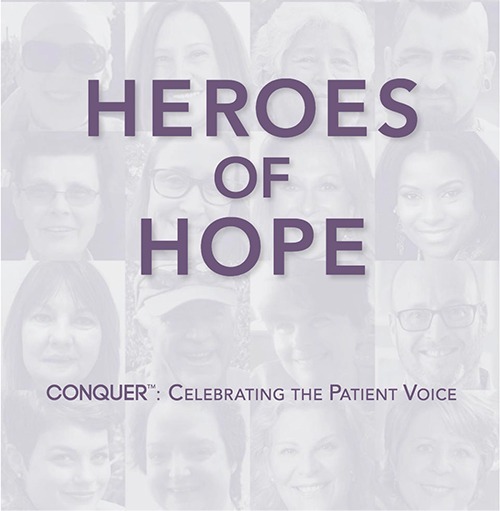 In 2016, Conquer Magazine released their Heroes of Hope: Celebrating the Patient Voice book. Featured are Heroes of Hope WINNER Maryann Wahmann, President of NCAN, and Heroes of Hope nominee Cindy Lovelace of The Healing NET Foundation. Again, we would like to congratulate both Maryann and Cindy on their nominations for the 2016 Heroes of Hope Award, as well as a big congratulations to Maryann Wahmann on being the 2016 Heroes of Hope award recipient! The community thanks you both for all of the hard work and dedication you both give back to us! For more information on NCAN, you can find that here at www.netcancerawareness.org! For more information on The Healing NET Foundation, you can find that here at www.thehealingnet.org!